It's the ultimate sinful treat, the Freakshake has to be up there as one of the most Instagram-worthy drinks to enjoy. 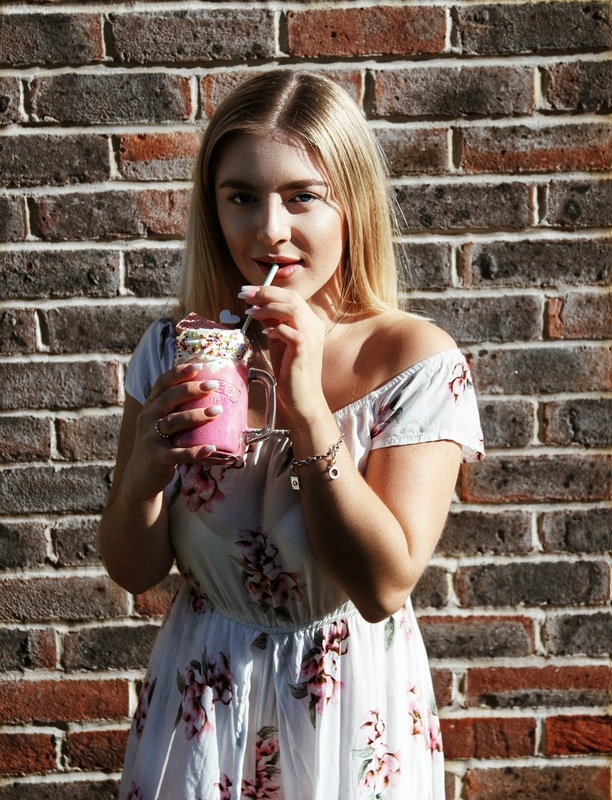 I have tried a lot of Freakshakes in my time, from Unicorn Hot Chocolates to Extra-Chocolatey Nutella Shakes. The beauty of the Freakshake is that no ingredient is too weird to add, meaning that the possibilities are endless. But one thing I have never tried, is a Freakshake with a boozy twist. 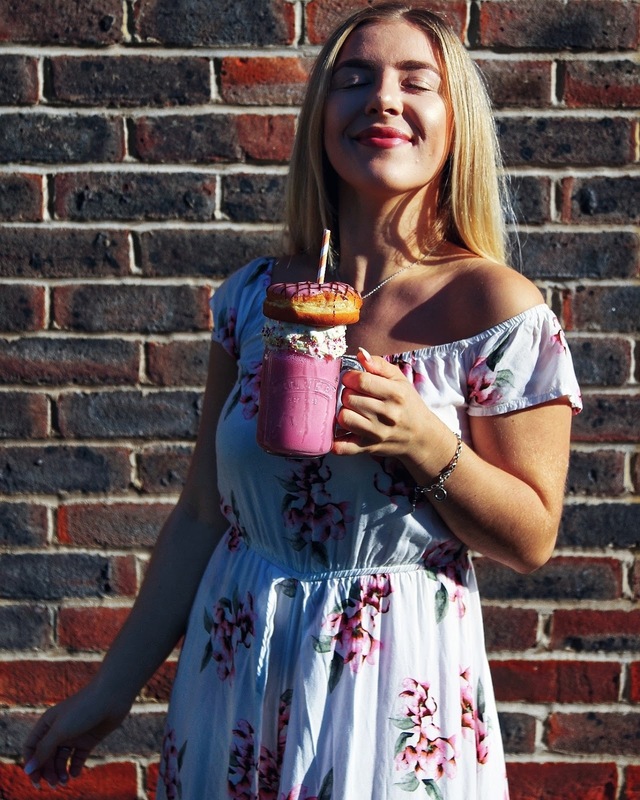 After doing some research on some of the coolest toppings, I put together my favourite ingredients to make an alcoholic version of my favourite freakshake. Line the rim of both glass jars with the vanilla icing, ensuring that a couple of layers are applied to the edges evenly. Then sprinkle on the hundreds of thousands on top of the icing, creating a colourful rim to the jar. Tap off any excess and place the jars in the freezer to chill for 10 minutes whilst you carry out the rest of the recipe. 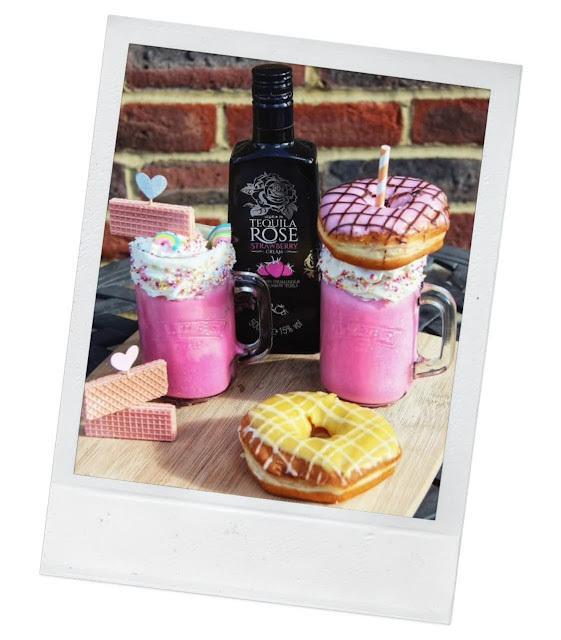 Scoop a large serving of ice cream and add to a blender with a dash of milk, 2 shots of Tequila Rose and the pink food colouring. Blend until combined. Depending on the size of your jars, adjust the recipe so that enough of the shake can be added to each jar. Remove the jars from the freezer and pour to shake mixture into each jar. For a marble effect, make a light pink batch and darker pink batch, layering the shakes on top of each other until the jar is full. Squirt on whipped cream and decorate with sprinkles, Lucky Charms/marshmallows and the pink wafer biscuits. For something a little bit more over the top, place a ring doughnut down on top of the cream. Pop in your papers straws and you're ready to enjoy them. I found that the mixture melted down quickly, so allowing them to chill in the freezer for 20 minutes meant that the shake stayed thicker for longer. It also helped when added the whipped cream and toppings. Obviously it's great to serve Tequila Rose in these super cute Freakshakes but Tequila Rose tastes great served over ice. Tequila Rose, available now in Sainsbury's, Tesco and Amazon.